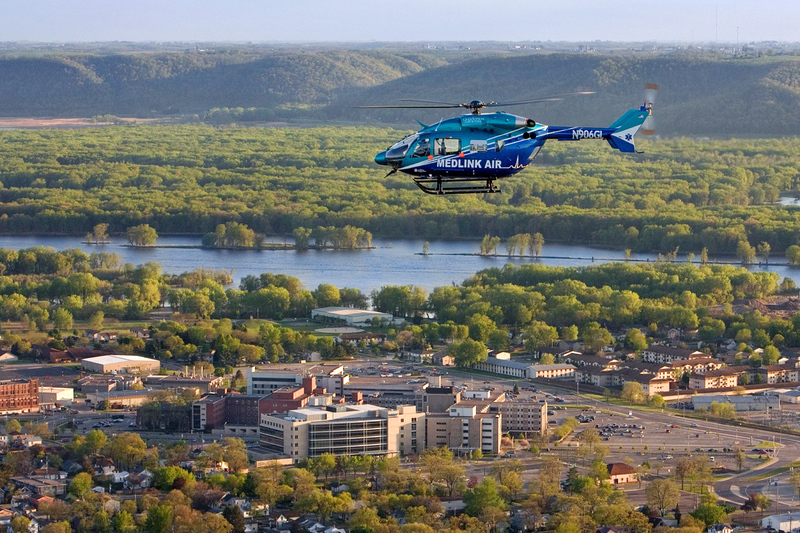 I moved to La Crosse, Wisconsin at the beginning of October to take a position with the Gundersen Lutheran Health System as the Program Director for the MedLink AIR and Specialty Care critical care transport programs. I feel very honored to be affiliated, not only with a great health system, but also with first class air and ground transport services. The picture to the left is of the MedLink AIR Eurocopter EC-145 helicopter over the Gundersen Lutheran Hospital and Clinic in La Crosse. To the west is the Mississippi River and Minnesota. I have only been able to get out on four bicycle rides since arriving as I attended the Air Medical Transport Conference for part of one of the weeks in Florida and it has been raining this weekend. La Crosse has a number of cyclists and Nordic skiers and I have been able to join the local listserv which is sponsored by the La Crosse Velo Club. In general the cyclists I have met so far are in a class above my speed level of 16-18 MPH as they average 25-30 MPH. This is especially hard as this area has some incredible hills with all the bluffs along both sides of the Mississippi River. The picture to the left is on top of Granddad Bluff just to the east of La Crosse and to get up to it there is a mile long climb with a 13% grade at the start and then ranging from a 7-10% grade for the remainder of the hill. The 600-ft high Granddad Bluff overlooks the Mississippi River Valley which includes the three states of Wisconsin, Minnesota and Iowa. Wisconsin Trails readers voted this "the most scenic view in the state" and I know from my first ride it was well worth the climb. The picture to the left, looking east, is from Main Street which then turns into Bliss Road as it goes up the bluff. Bliss Road is closed to cars because of heavy rains that washed out part of the side of the road but it is passable for hikers and cyclists. My first two rides went up Granddad Bluff and can be viewed from my Garmin here for the Grandad Bluff La Crosse - October 7, 2010 41.9K Ride and here for the County Road YY MedLink - October 9, 2010 37.6K Ride. On the October 7th ride I went out with Jen who is the leader on an organized ride and on October 9th I went out myself but ended up riding with another cyclist for part of the distance. On October 16th I went out for a longer ride that started out with a large group of riders. After the first mile long hill on County Road K, however, I could not keep up with the fast pace so I went on my own exploring the country side to the east and south of La Crosse. It was a gorgeous sunny day with temperatures in mid 60's and a 5-6 MPH wind from the south. There is beautiful farm land which includes both rolling hills and very lengthy climbs and descents. 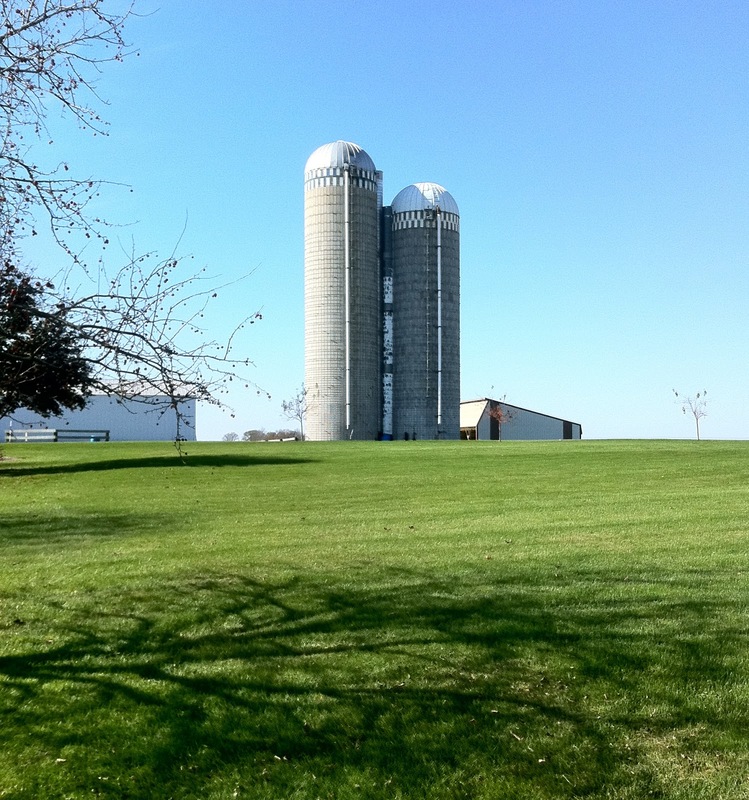 The picture to the left is of a farm just to the southeast of Chaseburg, Wisconsin. 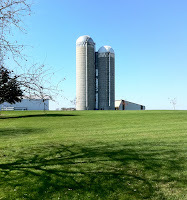 This area of Wisconsin has a number of Amish communities and during this ride I saw a number of covered wagons, farms, and furniture shops. The picture to the left is from an Amish farm and you can tell by the way they bale their corn stalks. After the forth mile long climb I came out of the bluffs at Genoa, Wisconsin which sits right on the Mississippi River and is about 17 miles south of La Crosse. Unfortunately I had my 8th flat tire of the season with a steel pin going through my new Kevlar back tire on the last climb. With all my experience changing flats, however, I was again climbing the hill on Wisconsin Highway 56. 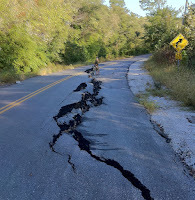 This picture was taken north of Genoa on Wisconsin Route 35. The river is very scenic here and the highway includes a nice wide shoulder. It was also a welcome relief to have some flat land and the wind at my back to finish the 92.4K ride. The map from my Garmin can be viewed here Amish Country Ride - October 16, 2010. On Sunday, October 17th I went out with Tom, who is cyclist I met on the Saturday ride and who also works at Gundersen Lutheran as an Ophthalmologist. 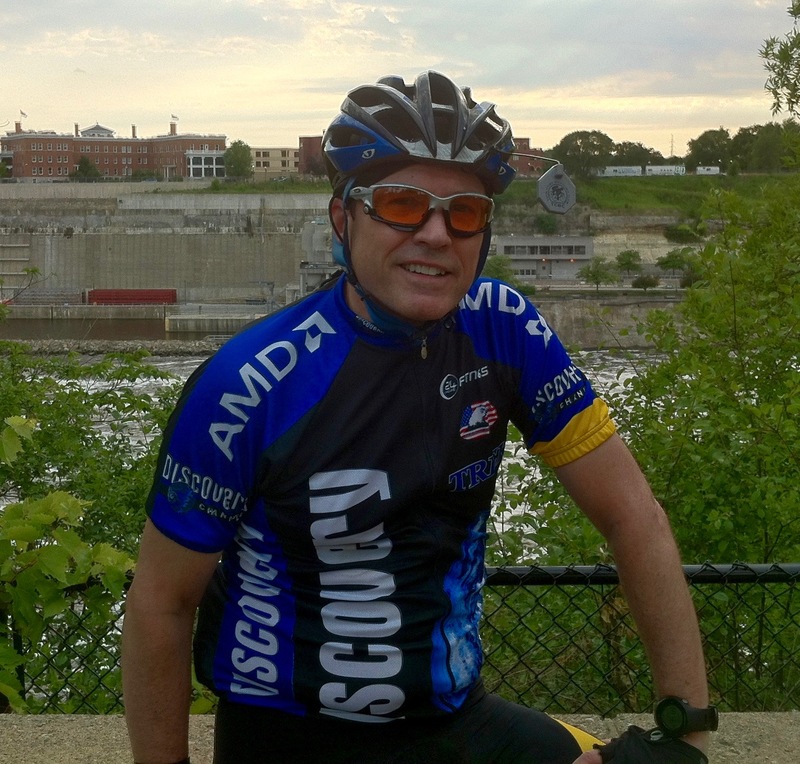 Tom, like me attended Michigan State University, and we went out for a late afternoon 54.2K ride. Temperatures were cooler than Saturday in the high 50's without much wind and Tom showed me one of the regular routes that many cyclists do on County Road M. The ride can be viewed from my Garmin here County Road M - October 17, 2010. Except for a few hearty souls the cycling season pretty much ends in La Crosse at the end of October which is when I usually switch over to roller skiing to get ready for the Nordic ski season anyhow. 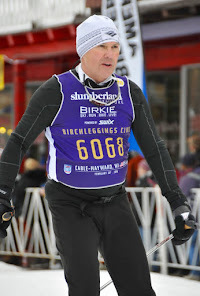 Fortunately there are a number of Nordic skiers here in La Crosse so I look forward to training with them on roller skis and then actually skiing with a few local trails in the area. Depending on snow levels, the best skiing will usually be found further north. The Quivira Park Bike Group joined the Tour de BBQ Ride which is the LIVESTRONG Army of Kansas City’s signature fundraising event on Saturday, October 2, 2010. The proceeds benefit the Lance Armstrong Foundation and The University of Kansas Cancer Center. This was the 2nd year for the Tour de BBQ Ride and there were over 2,000 riders compared to over 400 in 2009, so quite a statement for the bicycling community in Kansas City. 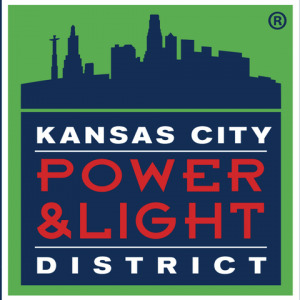 All the events, including the start and finish were at the Power and Light District, which has become a premier dining, entertainment and shopping district in the heart of downtown Kansas City. Attractions include the Midland Theater by AMC, The AMC Mainstreet Movie Theater, and the KC Live! Entertainment District. There are also more than 50 restaurants, bars, shops, and entertainment venues in this new nine-block neighborhood which links the Convention Center to the Sprint Arena. We had a good contingent of riders, friends, and spouses who showed up for the ride, which included 15, 35, and 62 mile distances to choose from. Most of our group did the 62 mile course or a 100 kilometer Metric Century. All the SAG stops were at famous BBQ restaurants in the Kansas City area so the course got a bit convoluted in areas especially when there was construction. The volunteers and great food made up for this, however. I did not personally eat any of the BBQ until the end, because first, I do not especially like BBQ and second, I like to eat just performance food while exercising. Carlo and his wife completed the course on their tandem bike and were quite fast on the downhills and a bit slower on the uphills given the weight of the bike. 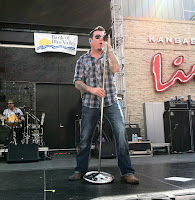 Picture of me is on College Boulevard in Olathe and this and many of the others were taken by Rob Rhodes. The route can be viewed from my Garmin. Total distance was 100.12K and average speed was fairly slow at 22.4 KPH given all the turns and stops, especially in the downtown urban areas. 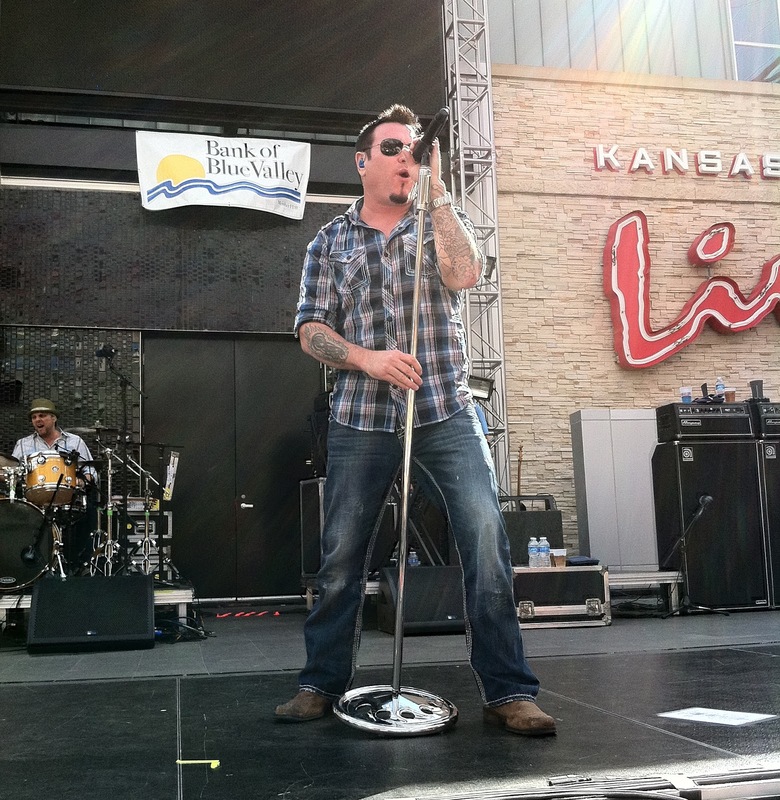 After the ride Smash Mouth performed a number of their classic hits in the KC Live outdoor area, which made for a wonderful ending to a great ride. Randy Rasa, webmaster for the Kansas Cyclist website and the co-producer of the Kansas Cyclist Podcast, and I went on a nice 83 kilometer ride in the late afternoon into the evening. Randy wanted to hear David Herlihy read some passages from his book called The Lost Cyclist at the Kansas City Public Library Plaza Branch at 18:30. The event was sponsored by Rainy Day Books. I did not read the book or attend the reading since we got their late and we had heard that the library was not the safest place to leave our bikes even when locked. So I caught up on some e-mail and RSS news on my iPhone while Randy joined about 25 others listening to David inside. The pictures were taken on an old bridge on Kenneth Street and 151st Street that crosses the Blue River. Randy likes to find old bridges. It was a beautiful day with temperatures in the high 70's and then when coming back from The Plaza in the dark down to the high 60's. I usually don't like to ride at night but with proper lighting it is amazing how much less traffic there were on roads that I cycle on all the time. Another interesting part of the ride was riding down the Blue River Parkway in Missouri and then entering Swope Park in Kansas City. The parkway is a wonderful ride as the pavement is smooth, there is not much traffic and it follows along the Blue River and also numerous mountain biking trails. With all the recent rain there was a spot where the road was partially destroyed but it was no problem getting by on bicycles. See picture to the left. We did not have much time to explore Swope Park since we were late for the reading but it is an incredible place. See link for more information. A map of the ride is available from my Garmin. Total distance was 83.11K and our average speed was 22.7 KPH.